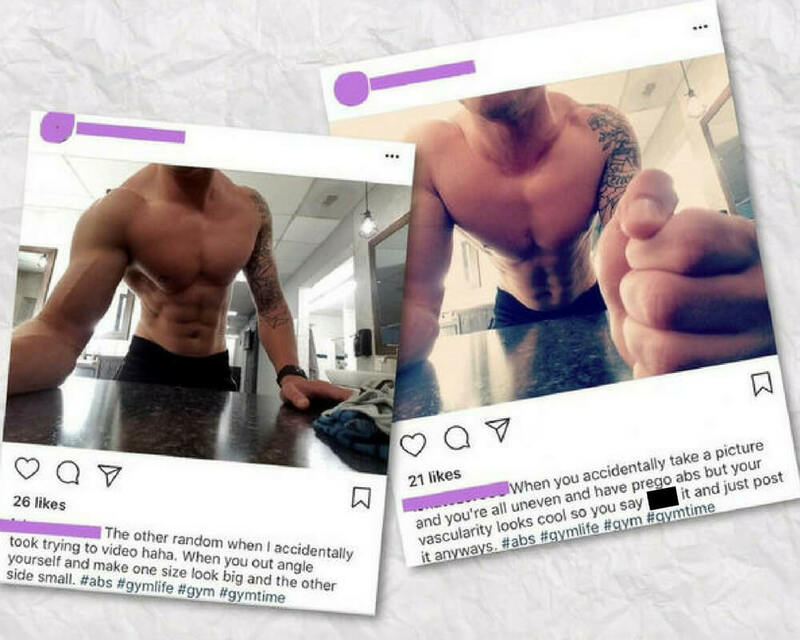 Don’t you hate it when you “accidentally” take a really good picture of yourself and then “accidentally” post it to Instagram? Or when you “accidentally” send a racy text to a cute person you matched with on Tinder? The world is full of happy little accidents, but all of the supposed coincidences on this list were absolutely done on purpose. People just think it’s cute to lie and pretend they #wokeuplikethis. Twice In A Row? Oops! Is this guy seriously thinking, oops! Just accidentally flexed every muscle in my body while holding my camera at a flattering angle. I guess I’ll just post BOTH of them. No. He is not thinking that. He thinks he’s going to trick us into thinking that these perfectly posed shots were taken by accident. Well, we’re not buying it, buff guy!